Travel dilemma in Peru: group or individual tours? Any of you that had a chance to try travelling both group and individual tours can definitely feel the difference. Now, I would like to summarize both travelling styles for those of you that yet have not visited the land of the Incas and plan to do so. It pays off getting familiar with all advantages and disadvantages of both options. This topic keeps running over and over in my mind already for a long time. It came back, couple of days ago, thanks to my Peruvian friends that has been recently travelling in Cusco region. Their insights and observations from the perspective of domestic tourists made me think about this dilemma again. I decided that I should share this knowledge with you! I hope this article will help you with consciously choosing the correct style of your travel in Peru. It turns out that this choice is of the essence here. This single decision will influence how, with whom and with what effects will you perceive the country of Incas. Expect real-life story, as always. This time I will bring you closer to the phenomenon and characteristics of group tours organized in the region of Cusco. It is not my role to criticize any particular form of travel. Everybody should be free to choose the way of travelling he enjoys the most. I would like to provide you with some insights that could allow you for making conscious decision about your future vacation in Peru. There are many possibilities when it comes to organizing your travel. In the end, each of them is good if only corresponds to your travel preferences, your style, character and physical condition. Some prefer to organize everything on their own, while others cannot imagine their vacation without the regular travel agency. In the end, some enjoy going to see the world with a local guide. There exist also another way to categorize the way of travelling – group or private trips. I would like to focus on those two forms today. I know both of them inside out and I managed to gather many insights from tourists taking advantage of them. In order to make the most out of your travel you should familiarize yourself with both styles and make a conscious decision about your travel plan. Let’s do it! Let me introduce you to the details of private and group tours. Those are the most frequently chosen group tours in the region of Cusco. They might be easily compared with private tours that are also organized in those places. Although we visit the same places, the way of organizing the tour is completely different if made in a group or privately. As their name indicates, they are organized in a group. Those groups amount on average to 20 to 40 people (it depends on the type of vehicle used for the tour). The less people, the more expensive the tour is. This type of the tour is accompanied by a tour guide who most probably does not speak any language other than Spanish or Quechuan. It can happen however that the tour guide does speak English. Unfortunately, it is hardly possible to hear him due to the amount of people taking part in a tour. Most often, everything starts at one fixed hour, and no matter the travel agency, all of the tours will look almost the same. The main goal of those tours is to show the tourists as much as possible without taking into consideration their preferences or physical conditions. No time for stopping for a minute and enjoying the particularly beautiful or interesting places. Travelling in a hurry. You can enjoy each of the attractions only for several minutes. No chance to admire the places in your own, beloved pace. No possibility to get to know the attractions in all their glory. With a group tours you can see the particular attractions only sketchy. 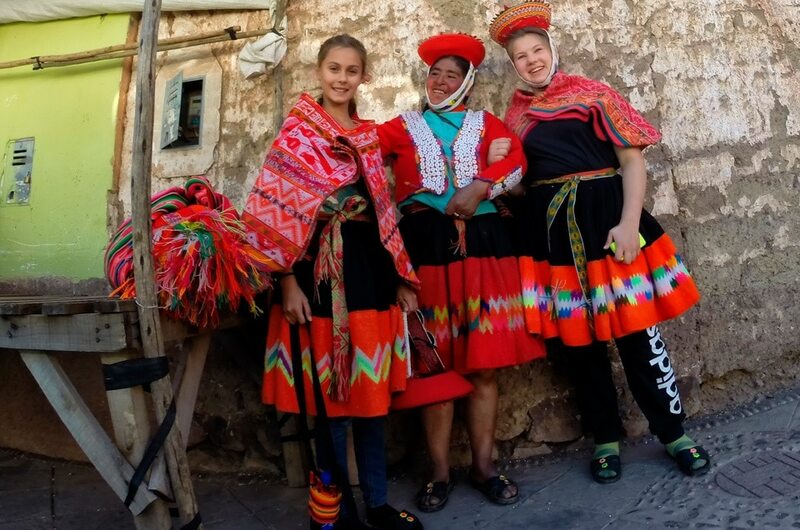 For example in Pisac you could either go for incredibly interesting 2-hour trekking and admire the beauty of the Inca architecture or go with a group tour and check only one, not really interesting, military part of this site. Necessity to align your plans and preferences with the ones of other participants. Keep in mind; they tend to be very different especially among strangers. Anxiety, stress and overwhelming atmosphere due to the noise, speed and crowd. I am tempted to tell you the story of my friends, middle-aged couple. The important point here is that both of them are overweight. They have chosen to take part in a group tours. It is nothing strange, as you can see the offers of group tours at every turn in Cusco. In order to save some money, my friends decided to buy three of those tours, namely for three days. It is always cheaper in a bundle! They convinced their whole family to take part in those tours, seven persons in total. They started their first day of a tour full of enthusiasm and positive energy. It soon became clear that their vacation is more of a discouragement and disappointment than joy and excitement. The one responsible for that was obviously the group tour. For their first day of vacation, the family has chosen group tour – three to four hours sightseeing of Cusco, Saqsaywaman ruins, Quenco, Puka Pukara and Tambomachay. In fact, just after the first day of vacation some members of the family decided to give up. They felt exhausted and disappointed. The tour was waste of time and money. The travelers did not benefit from the tour at all. The tour guide was rushing them all the time and the only feeling they experienced was stress and anxiety. Due to their excessive weight it was hard for them to run over all the attractions at a fast pace. After the first day, four of the family members decided to give up and asked for money return for the remaining two days of travel. Unfortunately, it turned out to be impossible to take the money back. The family decided that it made more sense to lose the money rather than health and well-being of their relatives. In the end, 5 persons gave up on going for the second day of a tour. Eventually, only one person, the most motivated one, agreed on taking part in the third day of a trip. I meet two of them on the last day of my few days trip. At the beginning, I proposed meeting up with them only for a dinner. However, after realizing that they have seen nothing except of Machu Picchu, I decided to take matters in my own hands. They seem to be quite distrustful, discouraged at the beginning. They asked about the duration of the trip and you could feel they are quite scared of taking the risk once again. In the end, they agreed upon my proposal and we started our travel straightaway. 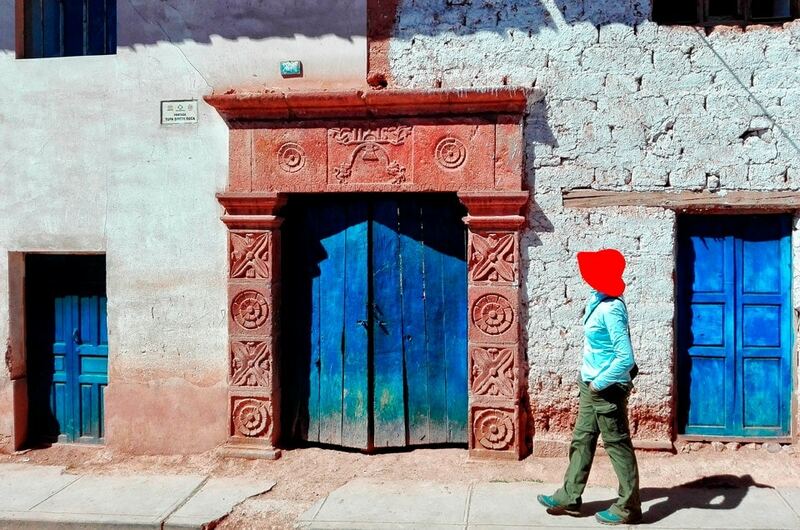 We rushed into little know travel path, situated only couple of kilometers away from Cusco. The path was truly beautiful! First, we could admire the view over the city, then we became surrounded by nature, mountains and residue of Inca architecture and cemetery. In the end, we reached the main attraction of our trip, namely immense Inca ruins and terraces. Despite putting lot of effort into reaching the final destination, everybody admited it was worth it! However, it is not the end of the story! It was so quiet; nobody was here except of us. Invaluable experience – that is how the family members summarized their experience after being disappointed by group tours. They quickly decided to come back next year. This time with their children. This time travelling in a completely different way. Price. It is one of the cheapest options, especially when we travel alone. Logistics. If you do not mind the crowds, the noise, inability to influence the duration and pace of the tour, then you should be fully satisfied with this kind of a tour. The travel agency is in charge of organizing transport, tour guide and the whole travel plan. Amount of attractions. Whenever you prefer quantity to quality, the group option might be suitable for you (provided that point 1 and 2 is satisfied). Be prepared for seeing a lot but at a very fast pace and only sketchy. You will definitely find the time to make photos of essential attractions. Sightseeing at the pace you want, according to your physical conditions, predispositions and preferences. The amount of visited attractions is fully dependent on your preferences. Preparation of the travel plan with you. In short, nothing is going to happen without your approval. Start and end of the trip on a day, and time you wish for. Seeing the world in your own way. Travel plan tailored made for you and your beloved ones. There are countries and cities where advantages of group tours outweigh their disadvantages. However, there are some places where it is worth considering investing into private tours. One of those places, in my opinion, is the region of Cusco. There is simply too many beautiful places around! Remember, that in the end, it all depends on your travel preferences and priorities when travelling the world. Holiday in Peru just as you like it. How to do it? 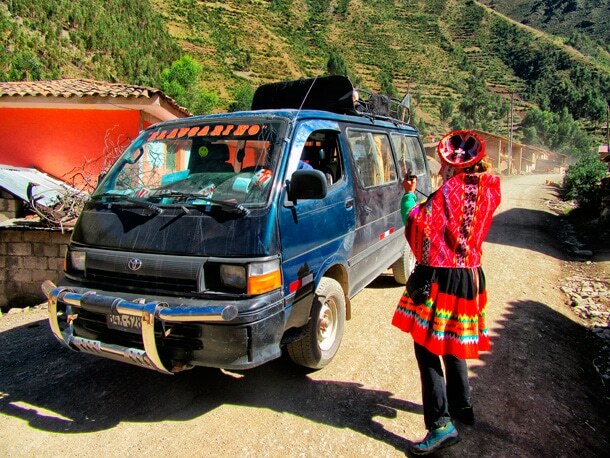 Which transport to choose while travelling in Peru and why?